This unique scarf was created by binding merino wool to two layers of hand dyed silk fabric for a beautifully rich and organic textured surface. 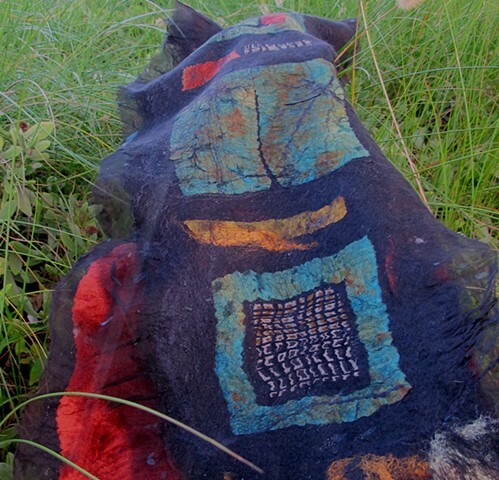 Some of the silk was naturally dyed with rusted objects. Fiber Content: Silk (Habotai, Organza, Tussah), Australian Merino Wool, & Bamboo.